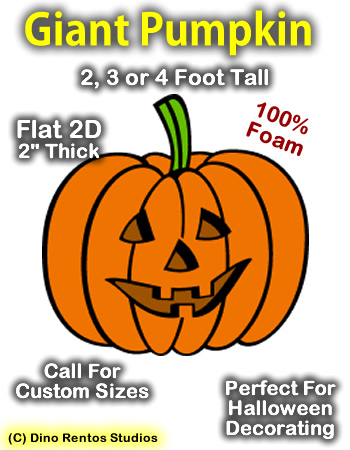 Giant Pumpkin Foam Prop - Dino Rentos Studios, INC. Giant 2, 3 or 4 foot pumpkin by 2" Thick. Perfect for Halloween decorating. Upgrade to a hard coated version for outdoor or permenant use.